Did you take a random look in the mirror while brushing your teeth only to find a white tongue? Well, then, the chances are that you have been compromising on your oral hygiene for a while now. However, do not worry as we have got your back. 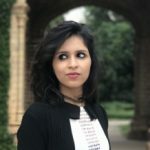 This post includes some wonderful home remedies and even a few tips that can help you get rid of a white tongue rather easily. Continue reading to find out more. What Is A Furry Tongue? When your tongue turns white all over or in patches, it is referred to as a furry tongue. This condition is usually a common occurrence. Most often, chances are that your entire tongue is coated white or there are white patches/spots spread all over it. While there is nothing to worry about in case you have a furry tongue, sometimes, it could be hinting at an underlying infection or even early cancer. Therefore, it is necessary to keep an eye on such symptoms and reach out to your doctor if your tongue continues to remain white. Let us look at less severe conditions or factors that can cause this condition. More often than not, a white tongue is usually caused due to poor oral hygiene. This can lead to tiny, inflamed, and swollen bumps (papillae) on your tongue. These bumps can trap microbes, food, dirt, and even dead cells. The collection of this debris in the papillae causes your tongue to turn furry or white. Leukoplakia – A common condition that occurs due to smoking and has the potential to develop into oral cancer in rare cases. Oral thrush – An oral infection caused by Candida. Oral lichen planus – A problem with your immune system that can cause white patches and sores to form in your tongue and mouth. Syphilis – A sexually transmitted condition that can even cause sores in your mouth. If the only symptom you are exhibiting is a white tongue, there is nothing to worry. However, if you notice any of the following symptoms, it is best to get in touch with your doctor immediately. If your only concern is the unexplained white patches on your tongue, you can give the following natural remedies a try to treat and prevent the condition. To a teaspoon of baking soda, add a few drops of water to form a thick paste. Using a soft-bristled toothbrush, brush your tongue gently for a minute or two. 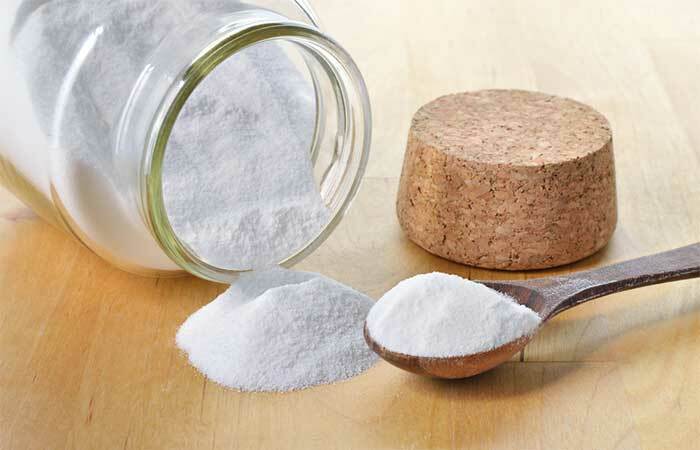 The alkaline nature of baking soda can help in neutralizing the acids in your mouth, thus restoring its pH. This has an antimicrobial effect on the oral pathogens and can help in their elimination, thus treating a white tongue (1). You can also leave a little yogurt on your tongue and rinse it off with water if you do not wish to consume it daily. 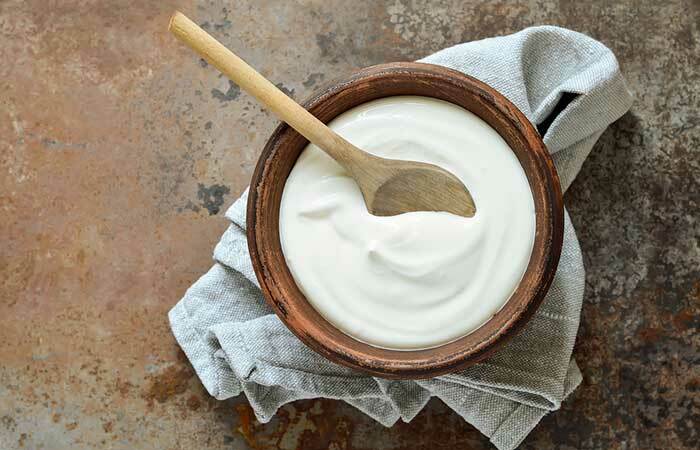 Probiotic yogurt contains beneficial cultures of L. acidophilus and B. lactis. These can help combat the trouble-causing oral pathogens like bacteria and fungi that may be responsible for the development of white patches on your tongue (2). Mix half a teaspoon of turmeric powder with a few drops of lemon juice to form a paste. Using your finger or a soft-bristled brush, scrub your tongue gently for a couple of minutes. You must do this at least once daily for effective results. Turmeric contains a compound called curcumin that has antimicrobial properties (3). 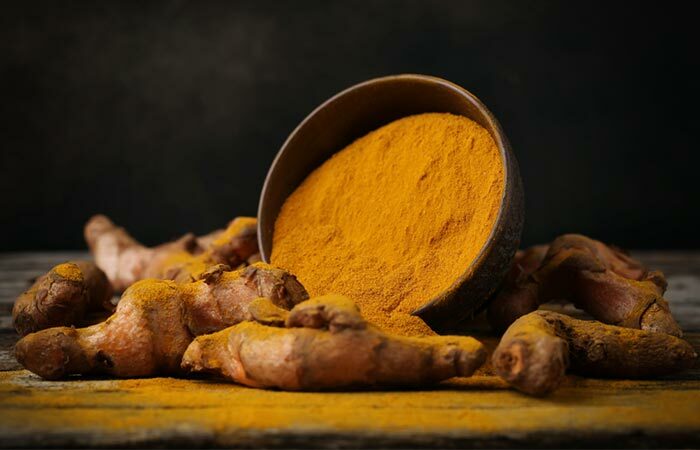 Curcumin prevents the growth of oral pathogens in your mouth and also promotes your oral health, thereby helping in getting rid of a white tongue (4). Swirl a tablespoon of coconut oil in your mouth for 10 to 15 minutes. Spit it out and go about with your regular brushing. 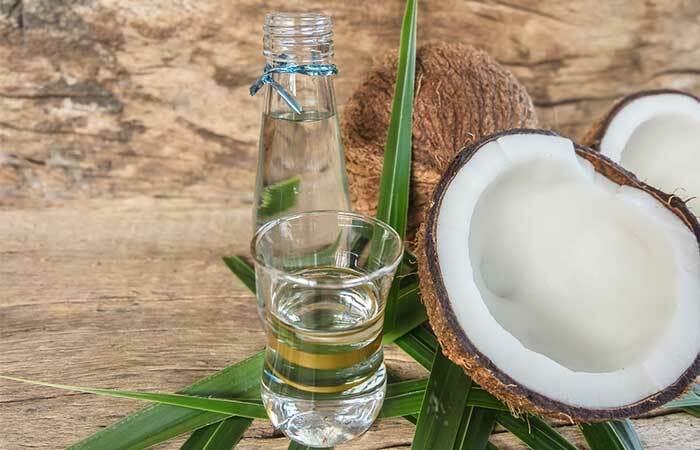 Oil pulling offers multiple benefits when it comes to your oral health. It helps maintain your oral hygiene by eliminating the plaque build-up in your mouth, which is one of the many reasons for the development of a furry tongue (5). Sprinkle a little sea salt on your tongue. Scrub your tongue gently using a soft toothbrush. You can also add a teaspoon of salt to a glass of warm water and use it as a mouth rinse. 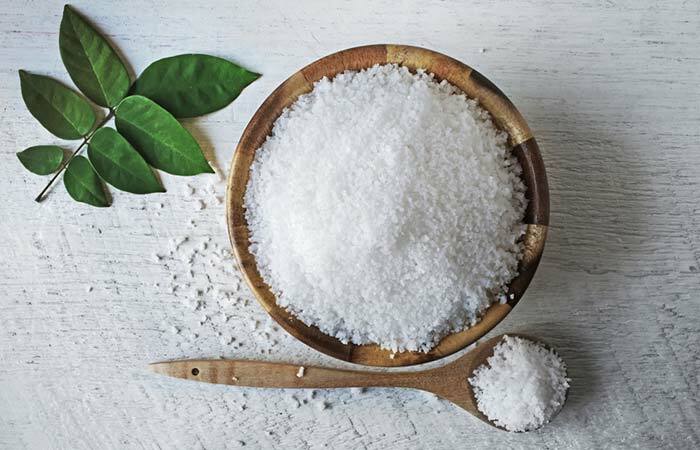 Sea salt is another great remedy for treating a white tongue. It is naturally antiseptic, antibacterial, and exfoliating and can help alleviate oral problems that could be triggering the condition (6). Swish a tablespoon of aloe vera juice in your mouth for a few minutes and then spit it out. You can also drink a tablespoon of aloe vera juice for added benefits. Do this 2 to 3 times daily for 2 weeks to start seeing results. 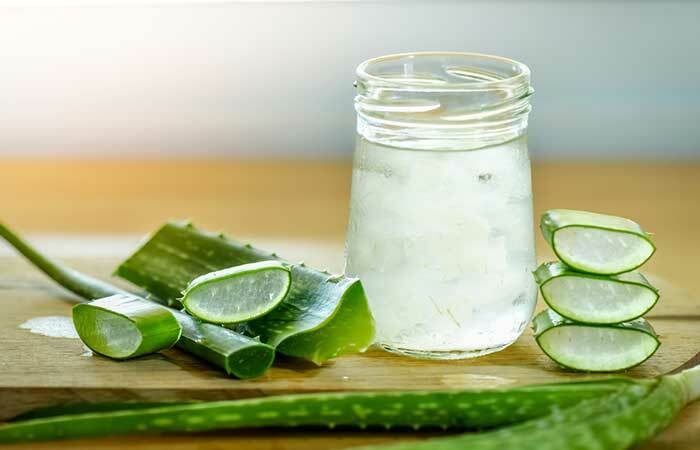 Aloe vera has natural anti-inflammatory and antimicrobial properties. These properties can help treat oral conditions like oral lichen planus that could be responsible for the development of a white tongue (7). Mix a tablespoon each of colloidal silver and water. Use this solution to rinse your mouth for a couple of minutes. Spit it out and rinse your mouth thoroughly with water. 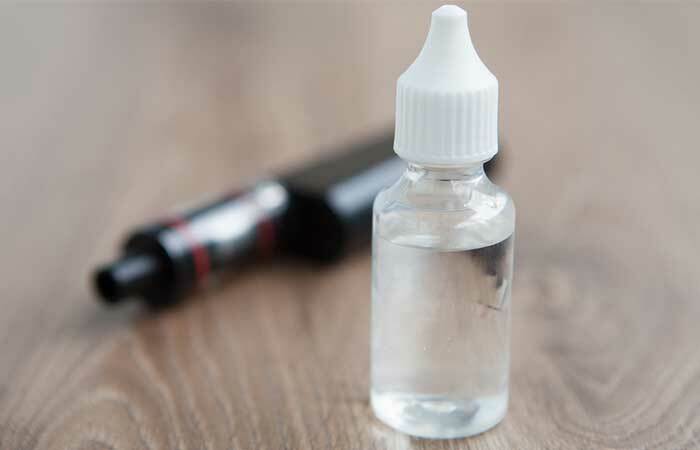 You can also opt for a colloidal silver-based mouthwash. You must do this 2 to 3 times daily for optimum benefits. Colloidal silver is a wonderful remedy for treating oral infections that could be causing your tongue to turn white. It can help eliminate multiple oral microbes like fungi and bacteria (8), (9). Crush two to three garlic cloves. Apply the crushed garlic paste to your tongue. Leave it on for about 10 minutes and spit it out. 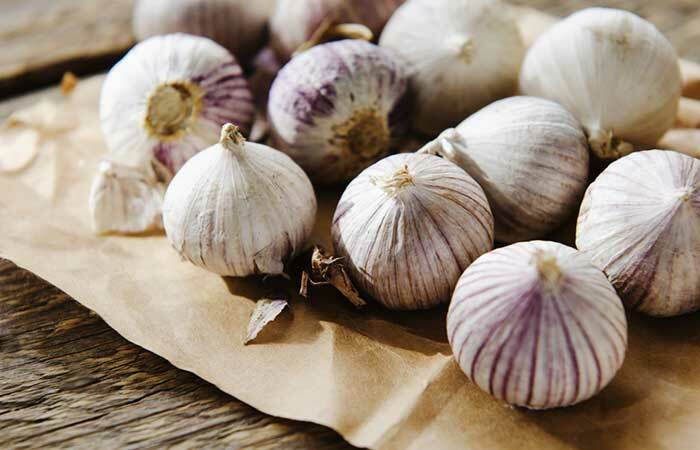 Garlic possesses strong antimicrobial properties due to the presence of organosulfur compounds like allicin in it. Allicin gets activated upon being crushed and can help eliminate the infection-causing microbes in your mouth (10). Add a drop of oregano oil to a tablespoon of any carrier oil. Swish this mixture in your mouth for 10 to 15 minutes. Spit the oil out and brush and floss as usual. You must do this once daily for the desired effects. Oral infections caused by pathogens are one of the major triggers of a white tongue. 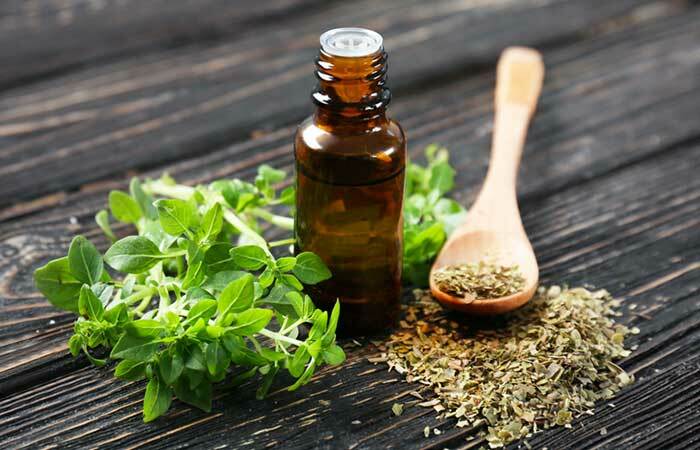 Oregano (Origanum vulgare) oil exhibits strong antimicrobial properties against oral microbes like candida that cause oral thrush (12). Add two teaspoons of pau d’arco bark to four cups of water. Cool the tea and strain. Drink the pau d’arco tea at regular intervals in small amounts. You must drink 1 to 2 cups of this tea daily. 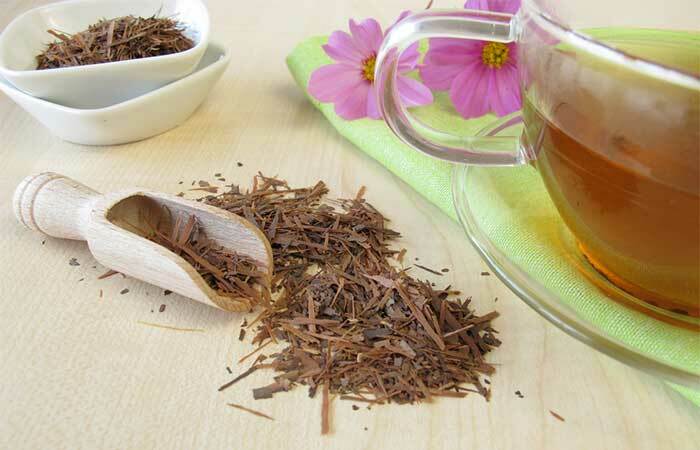 The antifungal nature of pau d’arco tea can help combat oral fungal infections naturally. Its anti-inflammatory properties can also help alleviate a swollen tongue (13). Add a tablespoon of raw apple cider vinegar to a glass of warm water. Mix well and swish this mixture inside your mouth for a couple of minutes. You can also drink apple cider vinegar. You must follow this procedure at least once daily. 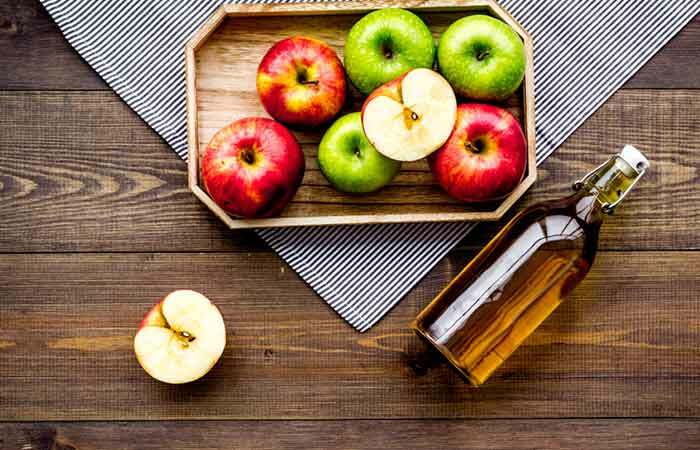 Apple cider vinegar is a rich source of multiple nutrients, and it also exhibits powerful antimicrobial properties (14). These properties can help treat fungal infections like oral thrush quite easily, thereby helping you get rid of a furry tongue. Pour a little vegetable glycerin on your tongue. Using a soft toothbrush, scrub your tongue gently. You must do this twice daily to start seeing results. Glycerin (glycerol) can help you get rid of a white tongue quite effortlessly, especially if the underlying cause for the condition is a dry mouth (15). It moisturizes your tongue instantly and prevents further issues (16). Consume a glass of fresh cranberry juice daily. You must drink fresh cranberry juice once daily. 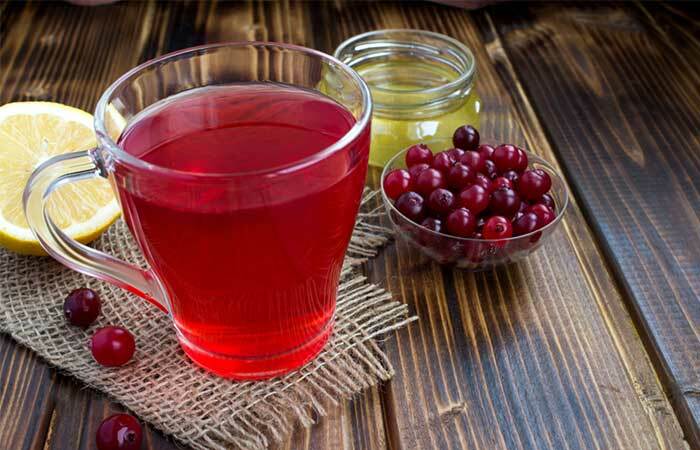 Cranberry juice is a powerful antimicrobial agent that can help you get rid of the pathogens responsible for oral infections. It is also a popular remedy for candida, one of the main causes of oral thrush and the subsequent white coating on your tongue (17). 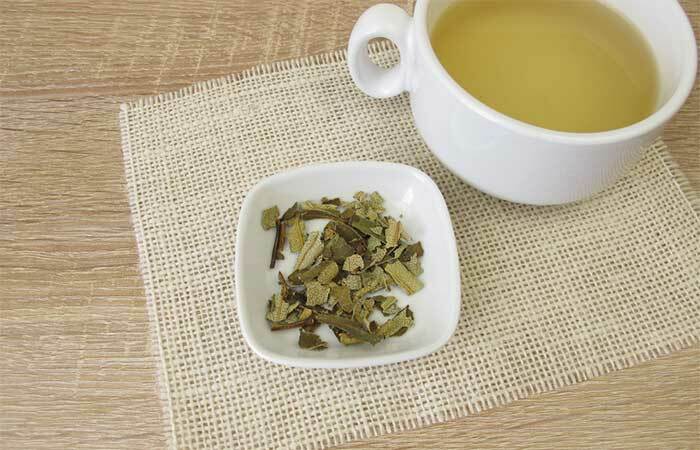 Add a tablespoon of dried neem leaves to a cup of water. Bring them to a boil in a saucepan. Continue to simmer until the water is reduced to half the initial volume. Strain and allow the neem solution to cool. Swish this solution in your mouth for a minute or two and spit it out. You must do this twice daily until you notice an improvement in your condition. Neem possesses excellent antifungal and antibacterial properties that can help clear infectious oral pathogens from your mouth (18), (19). This, in turn, also helps in eliminating a white tongue with time. Once you have begun using these remedies, you should also follow a few tips to reduce your odds of developing a furry tongue again. Use a fluoride toothpaste for brushing your teeth. Follow a healthy diet that consists of several fresh fruits and vegetables. While most cases of white tongue begin clearing up without treatment, you can use the remedies and tips provided here to help you recover faster. If you notice no difference in your tongue despite regular treatment and care, consult a doctor to find out the underlying cause of your condition. Hope this article cleared all your queries. For more questions, ping us in the comments box below. What is the difference between a white tongue and bumps on the tongue? The swelling or bumps (papillae) on your tongue are usually a result of poor oral hygiene. They can even be caused due to irritations from hot foods. When food, bacteria, debris, or dead cells get trapped between these inflamed bumps, a white coating is formed on the tongue. How long does it take for a white tongue to go away? A white tongue usually disappears in a few weeks. With treatment, it will disappear even faster. However, if the condition persists, it is best to seek medical attention immediately.